The Chapada Diamantina National Park is located 420km from Salvador in the Northeast region of Brazil in the state of Bahia. The park covers 38,000km square and the name translates to”Diamond Plateau” although diamond mining is now banned in the park. The scenery includes mountains, valleys, monoliths, caves, rivers, waterfalls and some of the most breathtaking views in Brazil. When planning our trip to the national park we knew we needed around a week to see some of the main attractions and allow for some down time. We booked 6 nights at a small homestay only a few hundred meters from the main square. In Lencois it is expensive to stay at hostels so look around for home stays online that can be more than half the price and are the best way of getting some local tips for seeing the park. We jumped on the 1pm bus from Salvador to Lencois. We arrived at around 8pm ( the buses are always late) and after exiting the bus everyone was approached by tour guides and salesmen trying to book us on the next available tour. 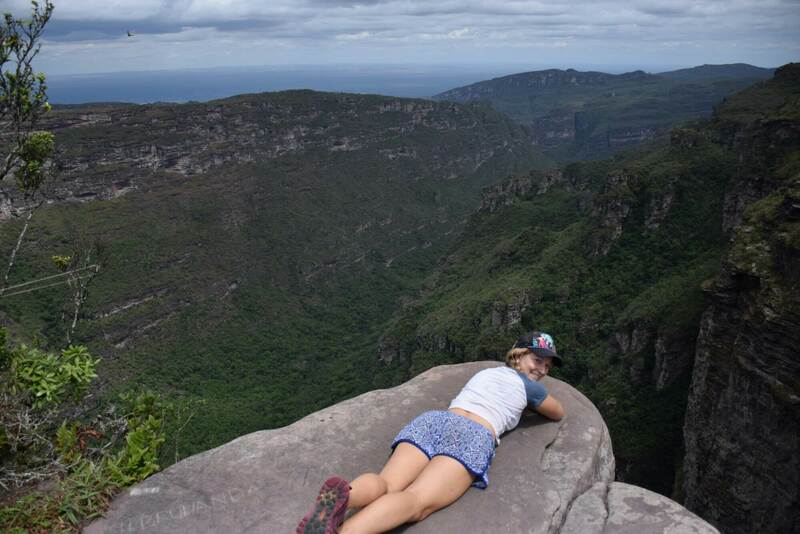 We had already been told that its not a good idea to book through them as some tour guides do not have good knowledge of the park and with cliffs 400m from the ground its best to ask around to find a company your comfortable with. So that night we just checked in and decided the next day we would talk with a few agencies and decide then. 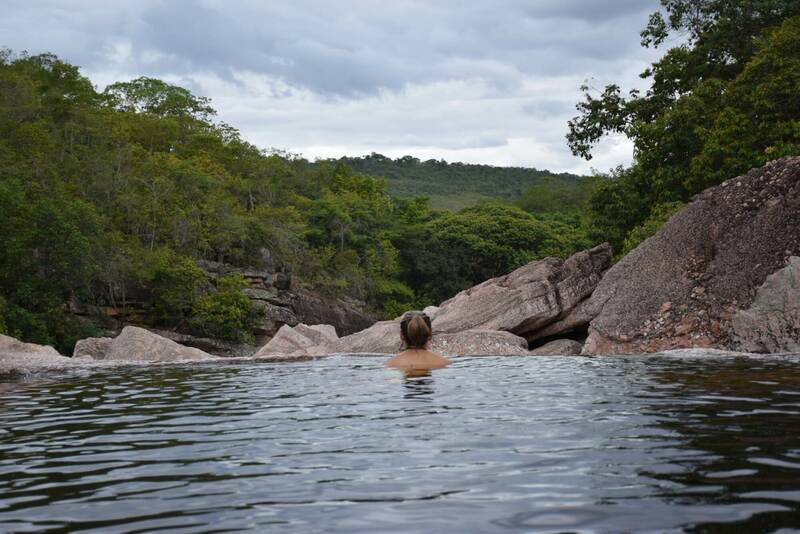 The next day we spoke to about 5 agencies and found one we really liked which was Chapada Adventure Daniel, we booked a 3 day tour which visited all the main attractions including Morro Do Pai Incacio, Pratinha, Gruta Lapa Doce, Poco Azul and Cachoeira da Fumaca for R$640 pp. From our first moments entering the park I thought “this place is sick,” it reminded me so much of Darwin, huge rock formations surrounded by fresh water swimming pools – but without the worry of Crocs (and I don’t mean the tacky shoes nobody should ever wear)! Although the park is Crocodile free I still get weary swimming after living in Darwin for the past 2 years, it has become something that’s always in the back of my mind. However, after a few minutes of swimming and still not being ripped apart by a 6m beast I am right at home enjoying the cool water. 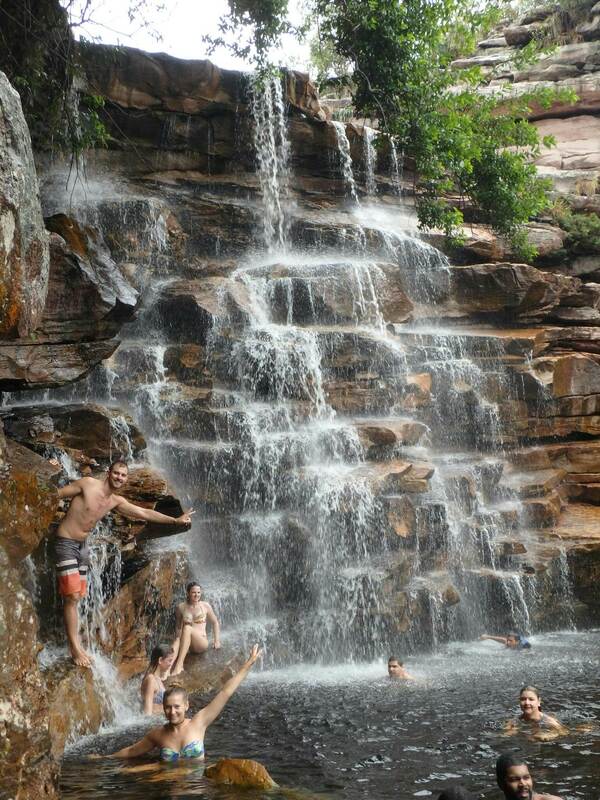 One thing we where really excited to see was Brazil’s highest waterfall called Cachoeira da Fumaca. Just imagine looking over the edge of a 400m sheer drop thinking “what if i fell,” a scary thought but it sure gets the blood pumping. The park itself has had an extremely dry year so far so the waterfall was barely flowing but the view was breathtakingly epic and was the best place to have lunch before hiking back down. We finished that day swimming in a fresh water pool with a few beers in hand enjoying nature at its best. 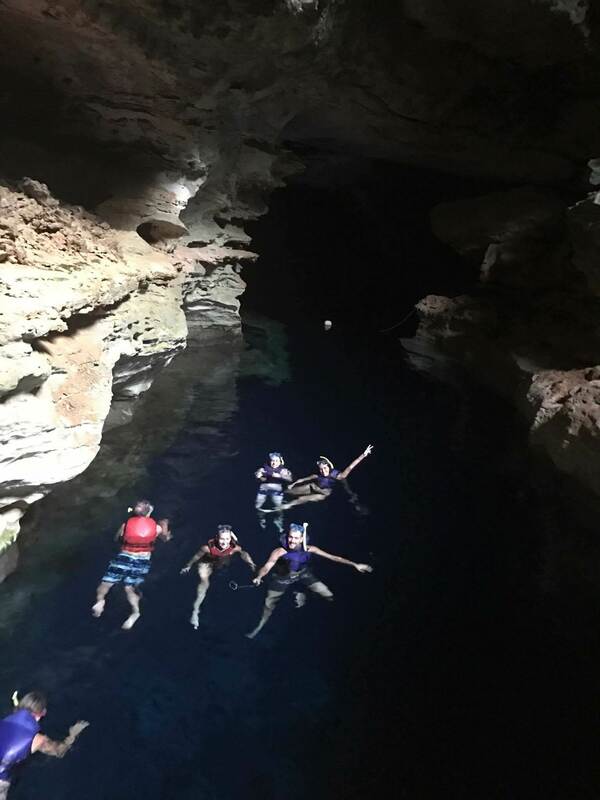 The last day of our tour we headed to Poco Azul, this place is so amazing and getting to swim there was a highlight of the trip. The pool is located in a cave system and is 45m deep of crystal clear water. At first you get a weary feeling being in the pool thinking about what lies ahead (the cave turns dark) not knowing if you are sharing this pool with another creature. The experience is really cool and something not to be missed. In the park attractions are far apart and the only way to see them is with a guide as some of the attractions can be dangerous. 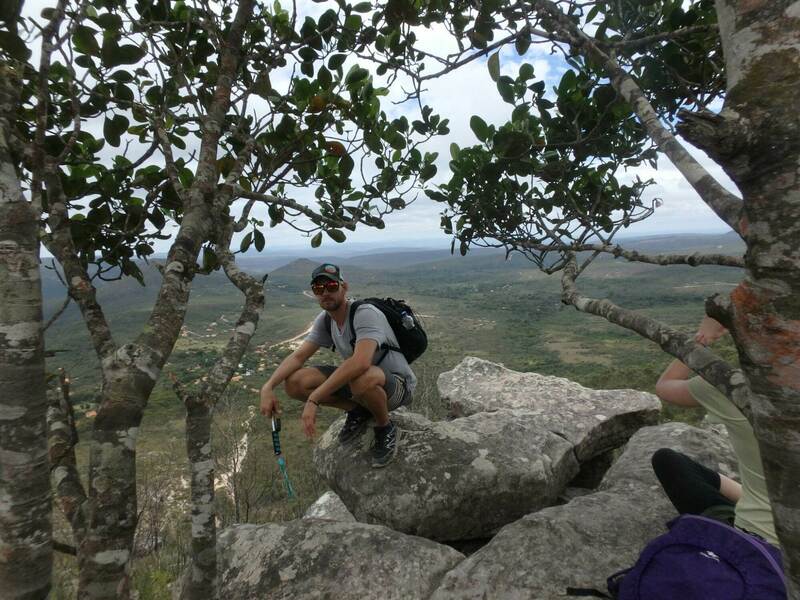 Chapada Adventure Daniel were an awesome company and we were glad we choose them to make our experience a good one. If you are unsure of what company to go with these guys offer English speaking guides and safety is always their number one priority, they offer life jackets for those who can’t swim and always had the guides looking after those who swam. 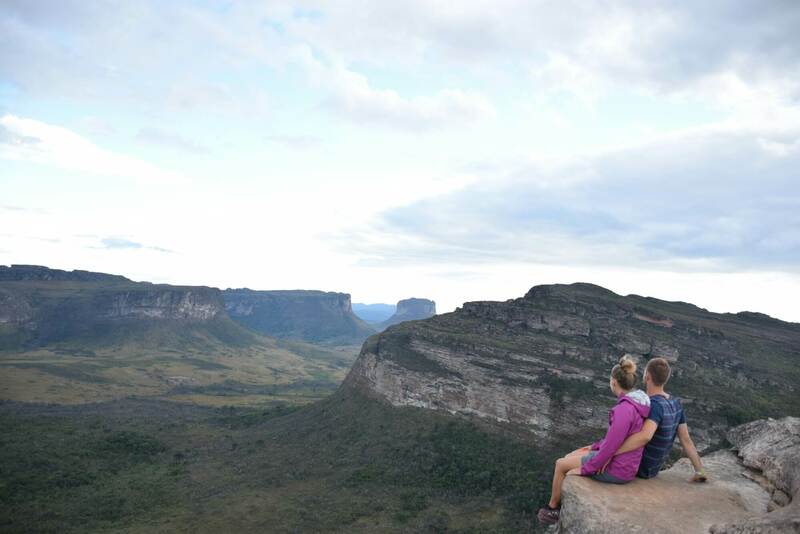 Chapada Diamantina National Park did not disappoint but unfortunately Brazil hasn’t quite mastered the art of leaving natural attractions natural, almost every place you visit has a shop next door selling gifts or a restaurant/bar ready to serve ice cold beers and amazing food. Although this is a shame the places we visited were amazing. It does gives me another reason I’m proud to call Australia home, we are not perfect but have managed to keep alot of amazing places free from commercial take-over, but its a battle we will need to keep fighting as big corporations move in to make a quick buck at the expense of future generations. Salvador is the closest city to the park and Lencois the closest town. Buses run everyday from the main bus station in Salvador to Lencois. The most popular company is Rapido Federal, the journey is 6 hours and cost R$80. Times are 7:30am, 1pm, 5pm and 11pm to get to Lencois and 7am, 1pm and 11pm to get back to Salvador. The buses are comfortable and sometimes offer wifi and all stop at a shop halfway where the food is expensive so I recommend bringing your own snacks.